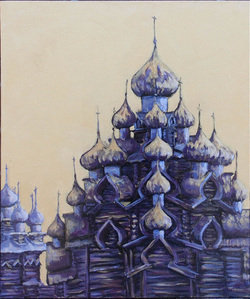 These three paintings resulted from my recent visit to Russia, where my main memory was of gilded domes and palaces! 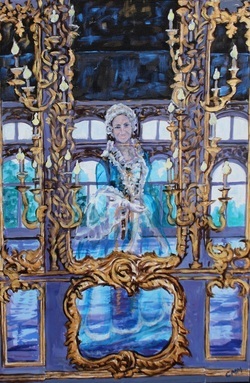 The mirrored ballroom, Catherine's Palace near St Petersburg, Russia. Church of the Transfiguration, Kizhi Island, Russia. 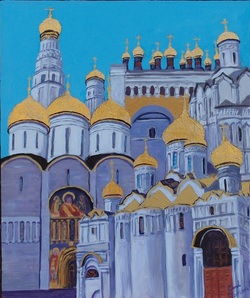 Golden Domes of the Kremlin. 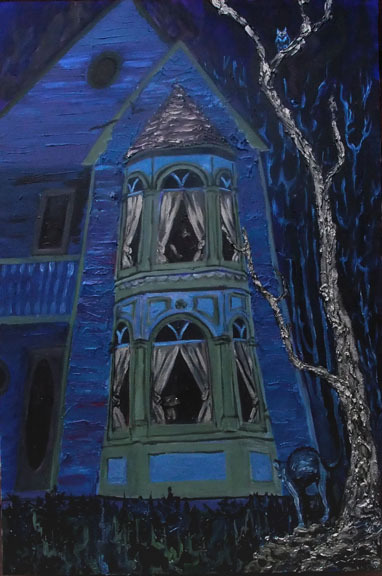 This was inspired by a house I found in Chester.